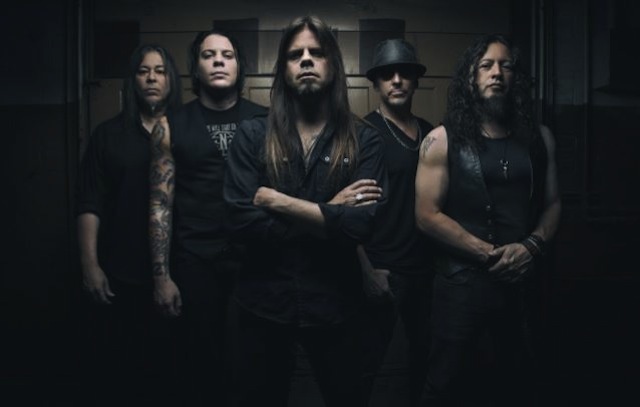 Queensryche have released a video for the song, Dark Reverie, from the band’s forthcoming album, The Verdict due to arrive on March 1st through Century Media. listen below. To watch a lyric video for the tune, Man The Machine, please click here. Additionally, to read more about this forthcoming release, and to view tour dates, please go here. Do we know who played drums on this forthcoming album? Geoff who? Todd “I’m a Geoff Tate cover singer” La Torre singing in the Queensryche cover band. Michael, yeah, I get it. Todd is a “cover singer”. But at least he doesn’t spit on his bandmates like Geoff…..
Well, then maybe it’s time for the Ryche to hang it up. Rockenfield isn’t even on drums anymore. Kind of a joke. In a perfect world, the split would never have happened, but it did. I have the two albums Queensryche has done with Todd LaTorre, and probably the best compliment I can give them is they sound like I want Queensryche to sound. They’re solid. They’re playing in my area in February or March (have to check on that…) and I hope to be there. This song also sounds “right”. I hope the rest of the album follows suit. I’d like Scott Rockenfield to still be behind the drum kit, but if he isn’t… oh well, time moves on. I still hear people complain about Alice in Chains without Layne Staley. Well, he’s gone and isn’t coming back, and AIC without him is still good. Accept it or not. Similar (but obviously not the same) with Queensryche. This is the band as it is now, and it’s good. Accept it and enjoy, or stay in the past – either choice is valid but you’ll be missing out on quality new music if you dismiss it.